The present general conditions form an integral part of the accommodation contract, which is subject to the serviced residences charter of the country concerned and offers no possibility of remaining in the premises or of establishing permanent residence. They take precedence over any general purchase conditions of the resident. France: Status of serviced residences. United Kingdom: Status according to the Hotel Proprietary Act 1956. The resident cannot invoke the status of residential leases, and particularly not the right to remain in the premises or be the holder of a lease. 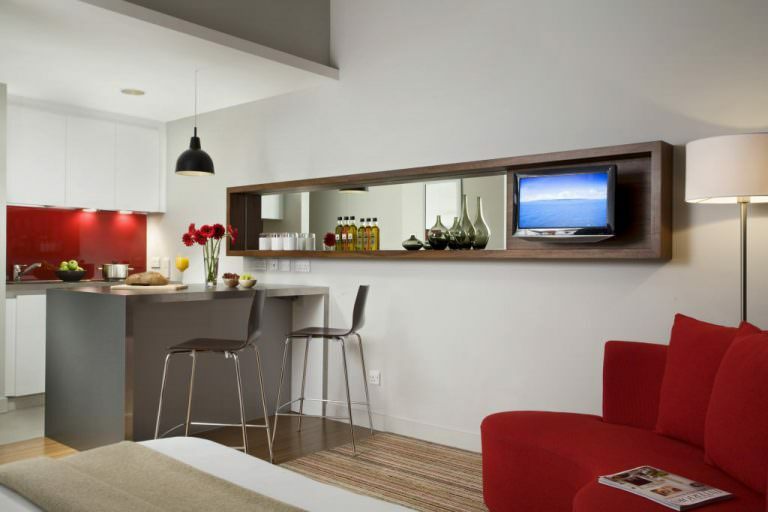 Spain: Decree 53/94 of the Generalitat de Catalunya on establishments for tourist accommodation. Germany: Status of serviced residences in accordance with the German Civil Code. Belgium: Status of serviced residences. The reservation of an apartment in THE ASCOTT LIMITED serviced residence is valid only after THE ASCOTT LIMITED has accepted the client ‘s reservation. The confirmation of the client‘s reservation by THE ASCOTT LIMITED remains entirely at the discretion of THE ASCOTT LIMITED. Moreover, to become firm, the reservation must be guaranteed by a valid credit card issued by an establishment of good repute, must have been the subject of a prior credit agreement with THE ASCOTT LIMITED, or must be followed by the payment of an advance. (THE ASCOTT LIMITED accepts the following credit cards: American Express, Visa, Diners, MasterCard and JCB). – 10 nights ‘ stay, (plus taxes) for any reservation of 30 nights or more. Reservations that have been accepted by THE ASCOTT LIMITED and for which an advance (or a guarantee) has been paid will be retained until five days before the envisaged arrival date. If the said advance is not paid five days at the latest before the envisaged arrival date, the reservation will be cancelled automatically. Reservations made less than five days before the envisaged arrival date must necessarily be guaranteed by a valid credit card issued by an establishment of good repute. Group reservations (that is to say, reservations for more than 8 accommodations made by the same entity) are subject to the general conditions for groups. Different conditions may apply for Promotional Rates. In this case conditions mentioned below the rate value, on the booking screen, will prevailed on the above conditions. The invoices issued by the residence of each country must be paid immediately on presentation. On the day when the client arrives, THE ASCOTT LIMITED will invoice him for the whole of his stay, except in the case of stays of more than 15 days for which invoices will be issued and presented every 15 days at the start of the period. If it has been agreed that a resident‘s stay will be paid for by a third party, the resident-occupant will remain personally liable for the payment concerned. For Promotional rates, full prepayment may be required. In this case, it will be mentioned below the rate value, on the booking screen. Payment for all optional services will be required on presentation of the corresponding invoice. 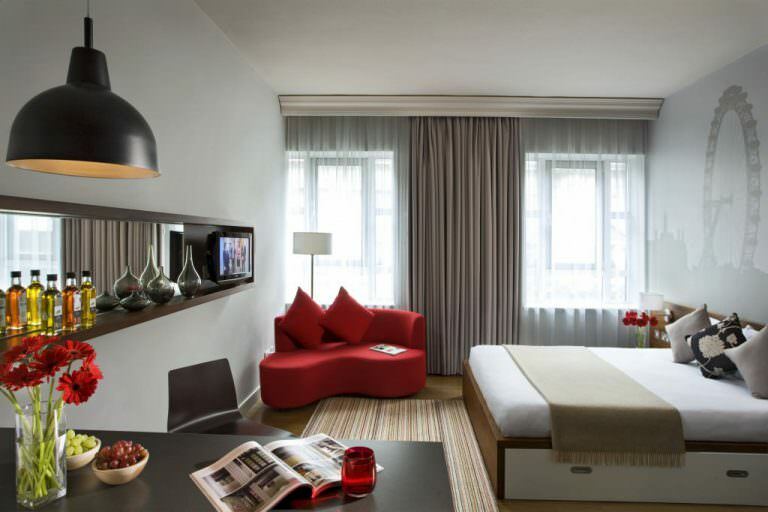 The credit ceiling accepted by THE ASCOTT LIMITED for services of this type is 200 euros. 1.5 times the legal rate on any sum not paid on its due date, without prior notice. United Kingdom: Late payment interest of 2% will be applied once on any sum not paid on its due date. Spain: Late payment interest of 2% will be applied once on any sum not paid on its due date. Germany: Automatic late payment interest of 5 points added to the legal interest rate will be applied once to any sum not paid on its due date. Belgium: Monthly late payment interest of 1.5 times the legal rate will be applied to any sum not paid on its due date. Prices are shown in local currency and include only the provision of an apartment. Prices can be revised without notice and optional services are not included in the price, regardless of the country concerned. THE ASCOTT LIMITED reserves the right to pass on any changes to the VAT rate or local tax which may be made at a later date. France: Prices are calculated with a VAT rate of 7%. They do not include local tax. United Kingdom: Prices are calculated without VAT. Spain: Prices are calculated with a VAT rate of 8%. Germany: Prices are calculated with a VAT rate of 7%. Belgium: Prices are calculated with a VAT rate of 6%. Subject to availability and at the discretion of THE ASCOTT LIMITED management, the length of stay can be extended, although there will be no obligation to allocate the same apartment or to apply the same rate. If the extension of a stay is accepted and a new price is applied, that price will be applicable as from the initial arrival date. Please note that any price changes due to a stay being extended or a client departing early will be applied retroactively to the client‘s account starting from the date of arrival. In the event of an early departure, any reduction in the length of stay that complies with the prior notice listed below will not be subject to cancellation fees. We must be notified of the change before midday (local time at the residence in question). Clients who have stayed in the same residence for 30 or more consecutive nights before shortening their stay but who fail to respect the prior notice will be waived 50% of the cancellation fees. 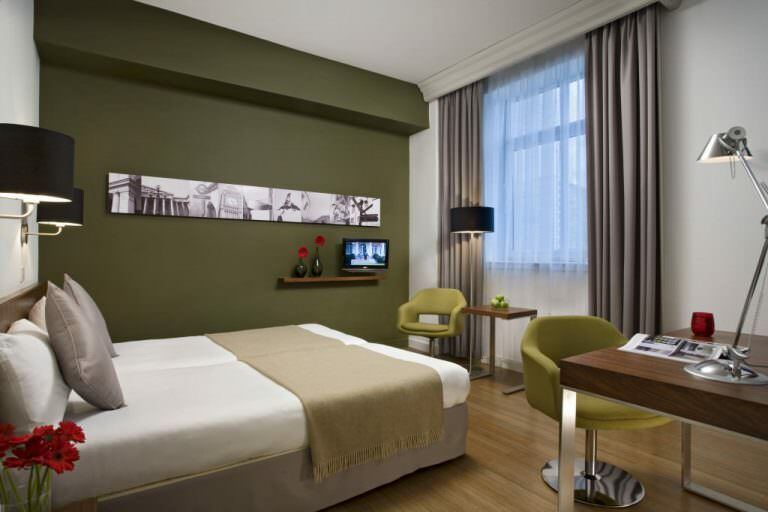 – 1 night (plus taxes) for stays of up to 6 nights. 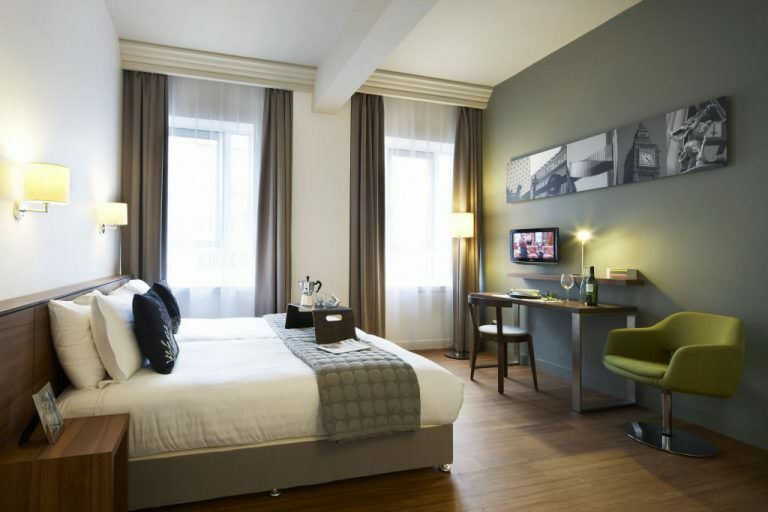 – 2 nights (plus taxes) for stays of 7 to 14 nights. – 6 nights (plus taxes) for stays of 15 to 29 nights. – 10 nights (plus taxes) for stays of 30 nights and over. Some promotional rates may be non-refundable, whenever the cancellation is received. In this case, the above policy will not apply and the full prepaid amount will be kept by the residence and cannot be reimbursed for any reason. The non-arrival (of the reservation) when there has been no cancellation will be deemed a ‘non-arrival’ and will be subject to the aforementioned cancellation fees. The valid date of a written cancellation will be the date it was received at the Residence at the ‘local time’ of the residence concerned by the reservation. 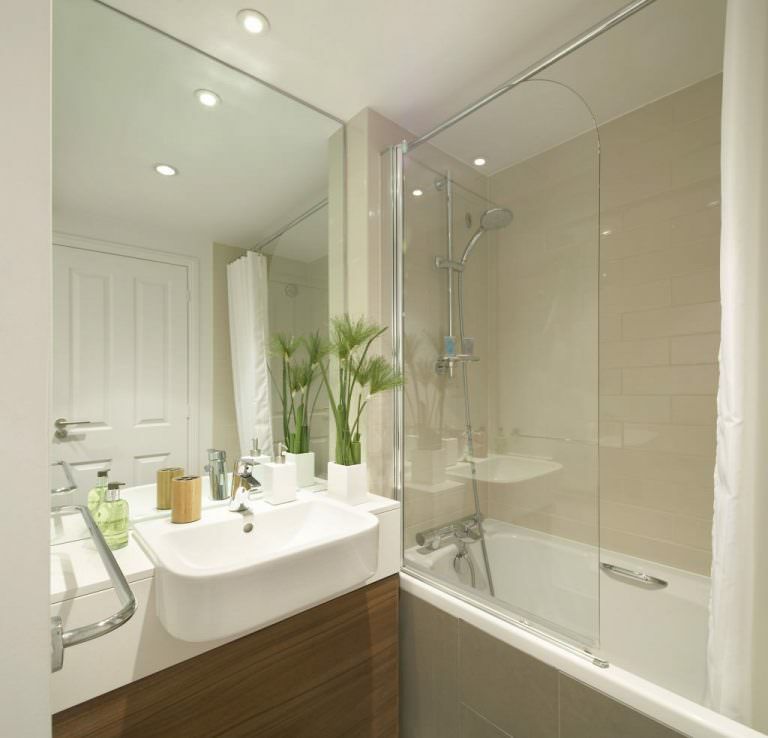 The apartment will be made available to the resident in good condition as regards maintenance. The resident will use the rented premises and their installations as a reasonable and prudent person. An inventory is displayed in each apartment. The resident must check its accuracy and quality on arrival and inform reception of any anomaly, and missing or damaged objects, within 4 hours of arriving. When the resident leaves, THE ASCOTT LIMITED will check the inventory and the cleanliness of the apartment and anything missing from the inventory or any damage caused to the apartment will be invoiced to the resident. The resident mandates THE ASCOTT LIMITED to enter the premises for weekly maintenance purposes. THE ASCOTT LIMITED reserves the right to enter the rented premises for safety reasons or in the case of any emergency. The responsibility of THE ASCOTT LIMITED cannot be incurred in the case of the theft of or damage to any personal property in the apartments, including personal mini-safes, the common parts of the premises, car parks and all the other outbuildings or annexes of the Residence. Nor can the responsibility of THE ASCOTT LIMITED be claimed if the resident exceeds the apartment‘s capacity. France: The provisions of article 1952 and the articles following it in the Civil Code concerning hoteliers are not applicable. United Kingdom: The provisions of the Hotel Propriety Act on the limitation of liability are displayed in the entrance hall of each residence. Spain: The provisions of Decree 53/94 of the Generalitat de Catalunya on tourist accommodation establishments are applicable. Germany: The provisions of the German Civil Code are applicable, particularly regarding tortious intent and major misdemeanours. Belgium: The provisions of articles 1952 and 1954 of the Civil Code on hoteliers are not applicable. The contract will be automatically terminated without formality or delay if the resident fails to execute any of his obligations or behaves in an inappropriate way so as to disturb the stay of other occupants. The resident must leave the premises immediately and can be evicted if necessary with police assistance. Non-payment for the stay implies renunciation of the letting contract and incurs the remission of the keys to THE ASCOTT LIMITED and the express renunciation of the right to remain in the premises. The law of the country of reservation of an apartment applies to the contract. If a dispute arises in the execution or interpretation of the present contract, the commercial courts of the country concerned will be competent. France: The courts of Nanterre. United Kingdom: The courts of London. Germany: The courts of Berlin. Spain: The courts of Barcelona. Belgium: The courts of Brussels. 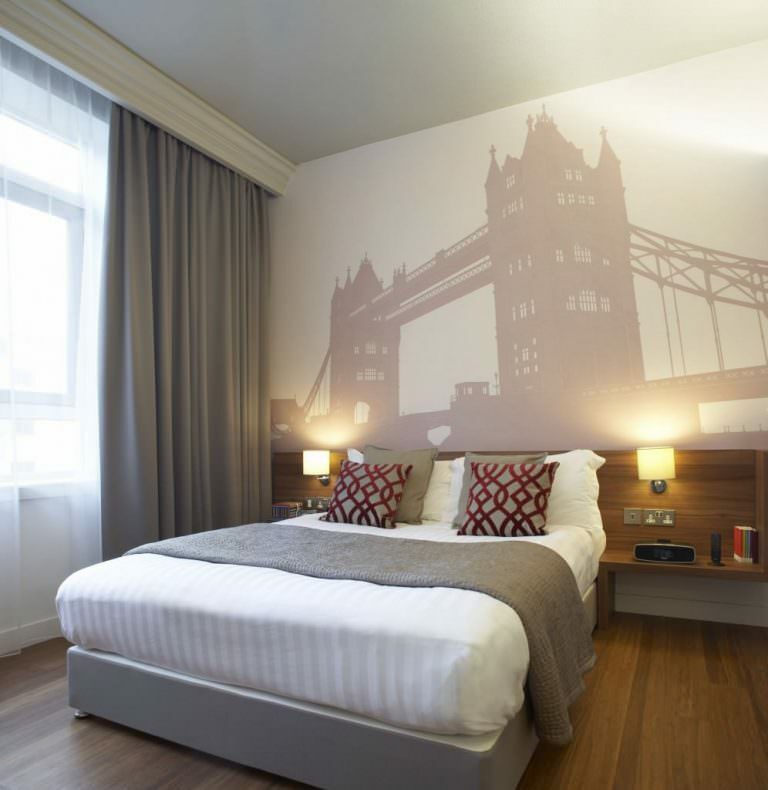 Nestled between the West End and the City, the Citadines Holborn-Covent Garden London apart hotel is in a wonderful position to discover London. 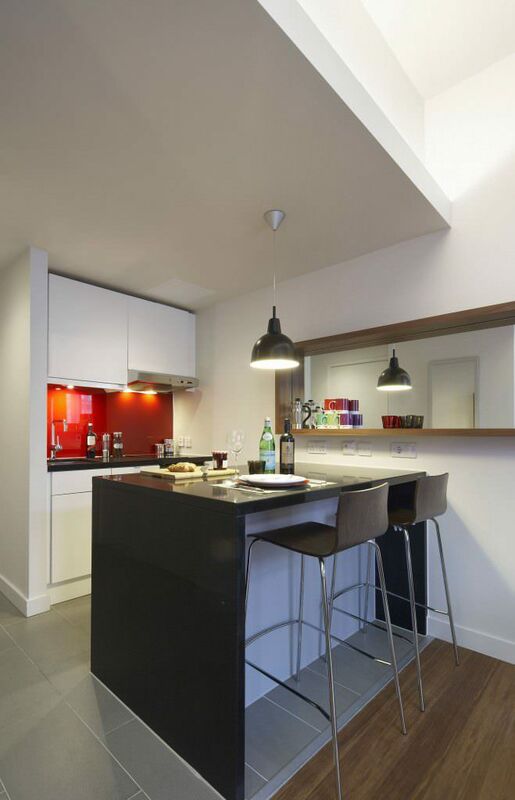 A stones throw from Covent Garden, Holburn tube is also on the doorstep as it is just a 2 minute walk away. Served by the Piccadilly and Central Line, many of the capital's famous landmarks are within easy reach. 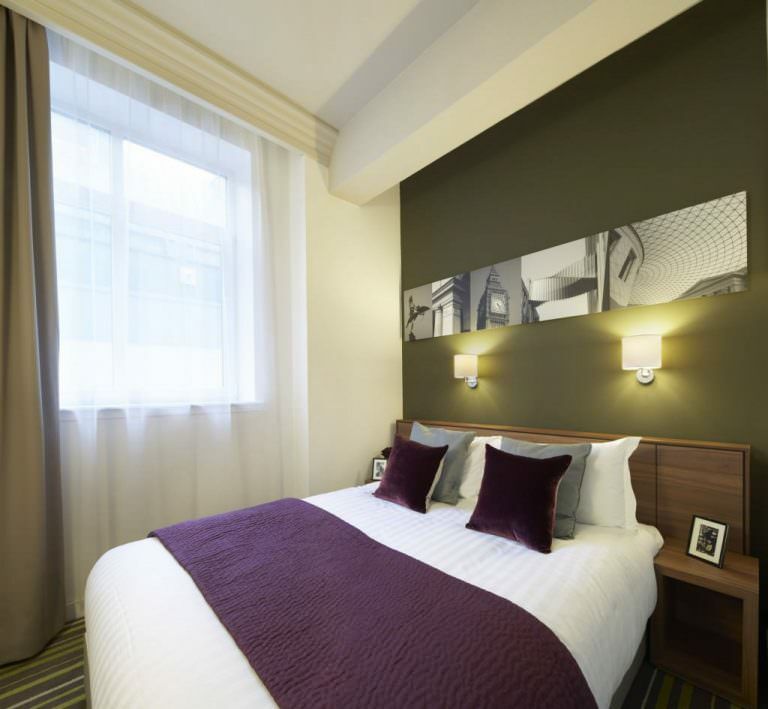 There are a selection of stylish studio, studio deluxe and one bedroom serviced apartments available, so whether you are an individual, couple or family of four, you can enjoy a most comfortable stay at the Citadines Holborn Covent Garden apart'hotel. Superbly equipped, ideal for either business or holiday accommodation, the flats are fully equipped with separate kitchen (including oven, microwave & refrigerator), en suite bathroom and entertainment system. 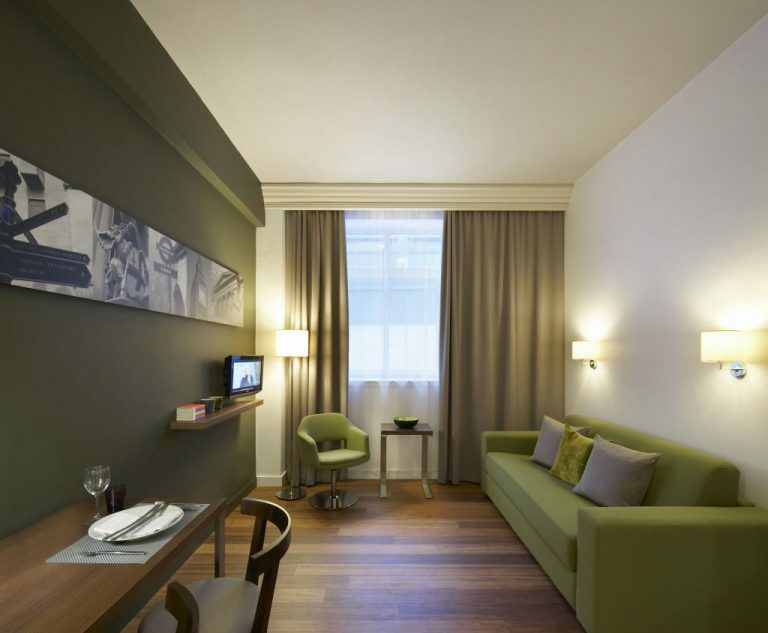 In addition, the serviced aparthotel boasts air conditioning, housekeeping and complimentary high speed internet access. Providing home from home comforts, there are also a number of luxury optional services available for a fee, including dry cleaning, private car park and shopping deliveries.